New Delhi: The head of the orthopaedics department at AIIMS, Dr Rajesh Malhotra, has been appointed as the Chief of AIIMS Trauma Centre. He succeeds Dr Anurag Srivastava, who was given the charge of the trauma centre after Dr M C Mishra retired as the Director of AIIMS and the chief of the centre on January 31. According to an AIIMS source, an order in this regard was issued. Dr Malhotra completed his MBBS from All India Institute of Medical Sciences (AIIMS), New Delhi, India in year 1984 and he completed his Master of Surgery (MS Orthopaedics) from same in year 1988. He has special interest in Primary Total Knee and Hip Arthropalsty, Unicompartmental Knee Arthroplasty, Revision Total Knee and Hip Arthroplasty, Lower Limb Reconstruction using massive allografts, Complex Pelvic and Hip trauma, Osteoporotic conditions requiring orthopedic intervention, Innovation in Orthopedics. Dr Rajesh Malhotra had training in ‘Revision Joint Replacement and Bone Banking’ at the Queensland Bone Bank, Brisbane, Australia. 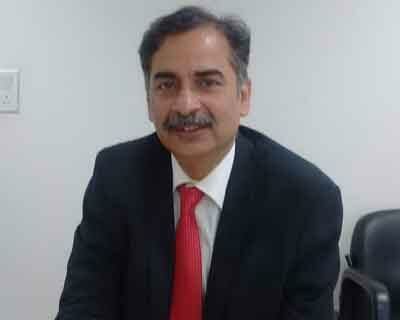 At present, he is incharge, and, exclusively running the only functional cadaveric bone bank in India. He is regularly performing complex revision joint replacements using massive skeletal allografts. He has several international publications pertaining to innovative applications of massive musculoskeletal allografts. He is a member of Advisory Group of ICMR for WHO-ICMR Task Forces on Osteoporosis, Road Traffic Injuries Surveillance, Normative laboratory parameters in India and Musculoskeletal Disorders in India. He edits a journal, which is circulated nation wide in India. He has more than 450 articles to his credit published in national and international journals. He has authored/edited 11 books and contributed 33 chapters in various national and international books. He has delivered nearly 440-invited guest lectures in various national and international conferences. He is an avid researcher and a popular teacher.